The Path to God did you Know? Do not be of this world? Of the King of Heaven? The people of God should be of God by walking and talking in spiritual ways. To lead you must first learn to follow…..
To follow the example you have learned well enough to lead and thus can lead by example. To be in communion with God you must receive the Holy Spirit of God. The of God of Heaven? These twelve Jesus sent out, instructing them, “Go nowhere among the Gentiles and enter no town of the Samaritans, but go rather to the lost sheep of the house of Israel(lost, confused or misguided members of God’s congregation so they will protect the lambs “youth poor in spirit” to be of the Holy Spirit of God once again in unity) . And proclaim as you go, saying, ‘The kingdom of heaven is at hand. (It is in your hands to choose to place yourself in God’s hands to receive the Holy Spirit of God you must obey the covenant the choice is yours and the time is always at hand as there is no time better than right now)’ Heal the sick(lacking the Holy spirit of God needing “the physician”), raise the dead(show them the way lead by example so they will receive and not perish but instead have everlasting life), cleanse lepers(cleanse the afflicted stilled walking in fleshly wicked ways), cast out demons(this is how you rid the world of evil and cast out demons). You received without paying(if you follow the example “the covenant” you have become an example and do not pay for sins as now you are free from sin); give without pay(Lead by example and they shall follow)( you received the Holy Spirit by honoring the covenant casting aside sin you cannot give the way to the Holy Spirit with Sin as an example for if you sin you have become the hypocrite and make them twice the child of hell as you are by giving a bad example). Acquire no gold(Evil) or silver(temptation) or copper(the Dead in Spirit) for your belts(circles – For the shepherd shepherds the sheep and the sheep surround the lamb if the sheep be found as wolves the lamb is devoured), no bag for your journey(no bag for one ready for the Holy Spirit is pure having no burden to carry for the one on the path their burden is light), or two tunics (because you are either of the flesh or of the spirit you cannot be both) or sandals (do not walk in the ways of the flesh) or a staff (and the spirit shall sustain you and will lift you up and you), for the laborer( the one who does God’s will) deserves his food(Spirit). And whatever town or village you enter, find out who is worthy in it and stay there until you depart. As you enter the house, greet it. And if the house is worthy, let your peace come upon it, but if it is not worthy, let your peace return to you. And if anyone will not receive you or listen to your words, shake off the dust from your feet when you leave that house or town. 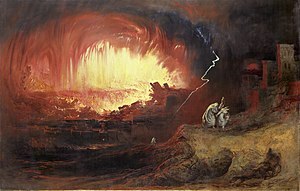 Truly, I say to you, it will be more bearable on the day of judgment for the land of Sodom and Gomorrah than for that town. For our father in heaven is the almighty who art in heaven. The you that God through the Holy Spirit of God Created shall not know God until receiving the Holy Spirit of God. No Idols nor rituals shall save you. You can follow worldly rituals and make false Idols all day and night but none shall see the Kingdom without first honoring the covenant. You would not walk before learning. You would not eat before cooking. You would not know before being enlightened. Love God with all your heart and all your soul, do unto others as you would have them do unto you, and love your neighbor as you would love yourself. Follow my example obey the Covenant fulfill the promise The Holy spirit is the way, and the truth, and the spirit who gives life. No one Knows God or shall enter the Kingdom before receiving the Holy Spirit of God. Thou shall have no other God before me …….. I have received the Holy Spirit of God who gives life and therefore I live. This entry was posted in Gospel Ministry and Words to Inspire, Ministry Notices, Misc, Public Notices and tagged God, God the Father, Gospel of Matthew, HolySpirit, Israel, Jesus, Kingdom of God, Samaritan. In doubt we find folly in confidence we find success, in flesh we are weak seek the spirit and open the door to find God.